Over my life, I’ve done a lot of running, a lot of it at a faster than average pace for competitive competition. 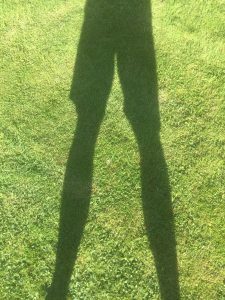 Over that time, I’ve also slowly broken down as a runner as I’ve built up scar tissue and issues that make running on the road or grass problematic. in another three weeks’ time, I will have had my zero runner for 1-year. I now carry a lifetime of running wounds and even cat scans have been unable to aid in remedying the worst of them. The Octane Zero Runner ZR7 is a magnificent piece of fitness engineering. For starters, as Octane claim, they’ve cracked it. They’ve provided a frame for a runner that replicates the act of actually running. For a broken down runner, you take one look at this baby and you want it. It took a bit of getting used to. That’s because I had to train myself to run again rather than instinctively rotate my legs, as I was used to doing, on an elliptical cross-trainer. 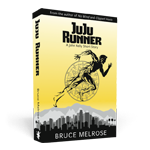 Once I had the zero runner mastered, which took me a couple of concentrated sessions, it was the authentic experience in that all my running aches and pains returned like old friends: My lip hurt, my sciatica reminded me it had only been asleep and my joints reminded me it had been a while, Pal. Although I eased into my routines, I still felt some tightness and pressure on my legs for some weeks. However for a runner who could not do a lot of running any longer on terra firma – it was only a matter of time before the pressure and tightness eased – and it did. I could not have been more delighted with my zero runner. I was running again, more or less properly without the jarring of running on solid surfaces to hinder me. The big value of the zero runner for someone like me was I was able to run day after day because I wasn’t pounding and aggravating my extensive collection of scar tissue built up over 15-years of solid training for competition. Octane were my saviour. I raised my effort over time so I was running each day on my Octane zero runner for 72 minutes a day. I had the zero runner set up in front of a television and Blu-ray to help me along, so was set for life, just as Octane said it would be. I was encouraged by reading that satisfied U.S customers were reporting they were able to train for the Boston Marathon on their zero runner, without enduring countless hours of pounding the pavement to do so. Octane stood behind their magnificent machine as being guaranteed for life, able to be used extensively by runners for years and years to come. When I got my zero runner it came with a lifetime warranty on the frame and 2 year warranty on the parts. I love my zero runner. It cost me a lot, so I really wanted it to be the investment allowing me to do a good honest 72 minutes a day for years and years ahead; and for three months I was in heaven. The zero runner gave me exactly what I wanted and hoped for. My aches and pains slowly disappeared, my calorie burn went up, and I started shedding a little weight down to 82kg (UK). Then the left foot pad broke. My legs. Too heavy and powerful for the ZR7? I would not have thought so. It didn’t snap off, it just gently slumped to an acute angle from its moulding to the leg. That left me flummoxed. Throughout my competitive running days, I weighed in at something like 63kg (UK), and in my socks, stand 5-10. Where I come from, no one ever looked at me and said, yeah, he’s a big strapping bloke. I was a skinny runner. Even after a few decades of being dad and a family man, my ballooned weight wasn’t more than 86kg (UK). Yet the massive force I apparently fire through the zero runner is enough to collapse a foot peddle. Maybe if I’d run a 3:29 1500m, 12:36 5k, and 26:40 10k, I might have once had such power, alas, as a 3:53, 13:55 and 29:58 runner, I don’t, and today I’m slowly churning out 45:00 10k’s, so definitely not. It took a week to get the foot pad sorted. While I waited, to keep my routine and fitness regime up, I started running slow loops of my neighbourhood. It killed me, but doggedly, I persisted. Throughout the several weeks, I could hardly wait for my zero runner to be restored, and was overjoyed when it was. I was back in business. Three months later, the exact same problem re-occurred, this time on the new replacement part. The same foot pad slumped, coming apart from the leg. I was beside myself, and this time I got a little grumpy about it too. From day one I cleaned any sweat from my zero runner and kept it in pristine condition. It was in a clean, dry environment, plus I was well inside the guidelines for using the zero runner (in terms of weight), so I wanted answers. My view was that while the top half of the frame is made of solid robust aircraft metals, the powder coated arms and foot pads are constructed from the same cheap metal you get when buying outdoor furniture. The sort of furniture that corrodes after being left out in the elements over a 24-month period. This time, my service guy took a replacement arm and foot pad from another zero runner in their store as I don’t think they had any replacement parts. I think if they’d not had a spare part, I’d have given the zero runner back and asked for a refund. My service guy said he’d send the broken part back to Octane in the U.S. for assessment. So, two new left foot pads inside eight months later, and you can see why the lifetime warranty on the frame is such a relief to have. My next outage was a rubber strap splitting on the right footpad, but that was because my foot moves and rubs against the strap. I swapped the strap out, although doing so was not as simple a task as you might think. I then had another eight weeks of wonderful zero running. Both arms and footpads seemed to be holding my excessive 85kg frame, however the right arm unexpectedly came apart with a sudden bang, and a ricochet sounding like a gunshot! I’m hoping this latest breakage is nothing more than a screw replacement. Fingers crossed. In the meantime, I’m back pounding roads with tight calves. That’s the one downside of the zero runner. Without pounding, the calves tighten, as does everything else. I have to say, the more I’ve used the zero runner the easier it has been to run without it, which seems to have become a semi-regular occurrence now. Despite my frustrations and three monthly setbacks, the zero runner remains an amazing mechanical device. It’s complex, and while I’ve felt like pulling out my hair every time it breaks, I’m loathe to ditch it (given what I paid for it). As for a product recommendation? I’m cautious, and reluctant to. I’m left wondering did I just get a dud, was I just plain unlucky, or is using the zero runner for 72 minutes every day excessively over and above what it was designed for, in which case, claims the zero runner is a device you can use extensively for years and years has to be challenged and called into question. As able bodied runners will argue, fitness equipment is to complement real running outside. While fine for them, that isn’t the case for those of us broken down, which leaves the zero runner as a very expensive supplementary running apparatus–which is what I feel like I might be starting to face into. PostScript | Alas, my latest setback with the Zero runner is fatal. Somehow the massive force of my body has managed to rupture the connecting hydraulics of the left arm/footpad away from the aircraft metal frame of right leg. Unbelievable. 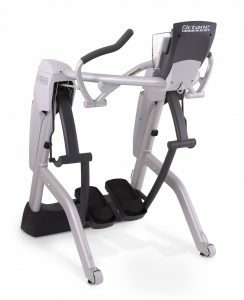 So, far from being an industrial strength piece of fitness equipment with a lifetime guarantee on the frame, the zero runner has to be considered somewhat frail. As my zero runner lasted me eleven and a half months, I can’t in good consciousness recommend the zero runner to any athlete wanting to work out daily for 72 minutes using it. For $120, try a rebounder. Given a zero runner costs $5,600, a rebounder is better value for money, and a superior RoI even if it only lasts eleven months.